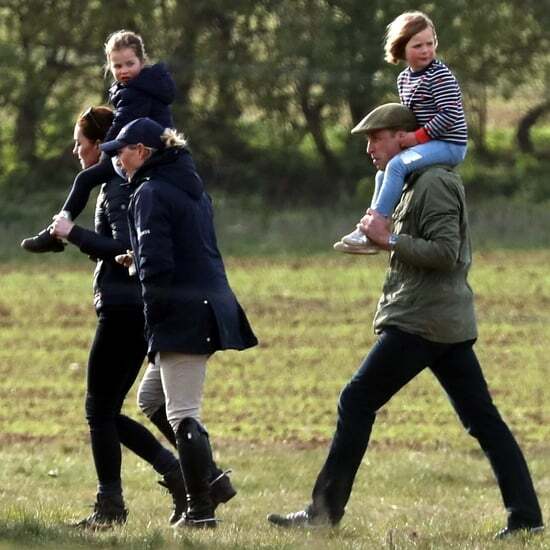 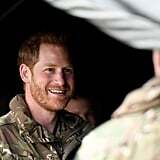 While Meghan Markle is having fun in New York with friends to celebrate her baby shower, Prince Harry is also out for a solo engagement. 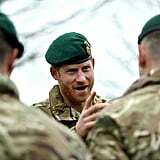 On Wednesday, the Duke of Sussex attended the revered Green Beret presentation in England. 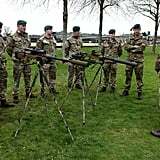 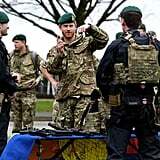 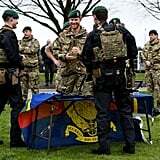 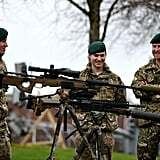 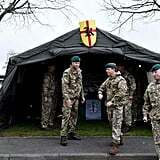 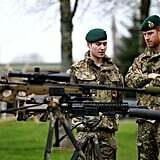 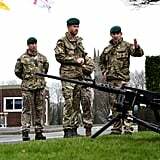 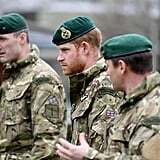 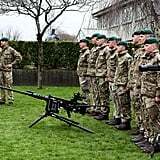 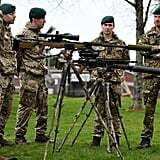 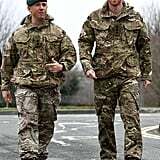 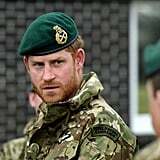 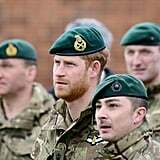 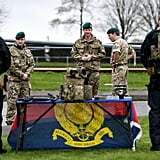 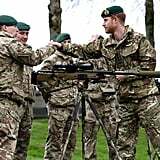 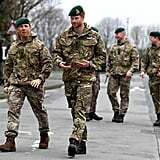 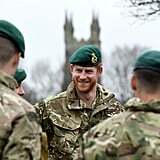 At the event, the 32-year-old prince rocked a camouflage uniform while talking to the 42 Commando Royal Marines at their base in Bickleigh. 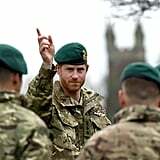 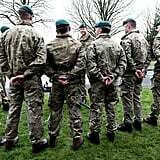 He saluted the recruits and presented them with their Green Berets, which marks the completion of their training. 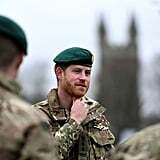 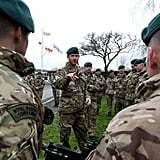 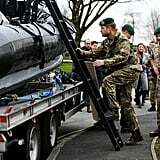 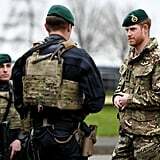 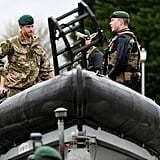 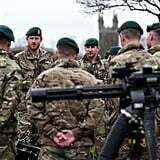 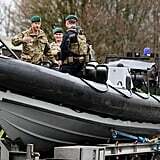 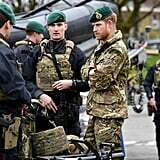 Harry also heard from the specialist teams who provide maritime security around the world and saw a Joint Personnel Recovery exposition in which royal marines deplane from a Merlin helicopter. 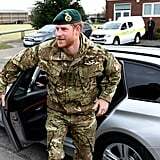 Harry has military experience of his own. 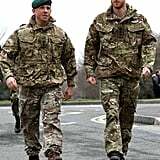 He served in the army for 10 years, eventually becoming captain and committing himself to two tours of Afghanistan. 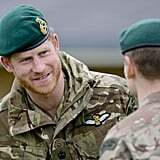 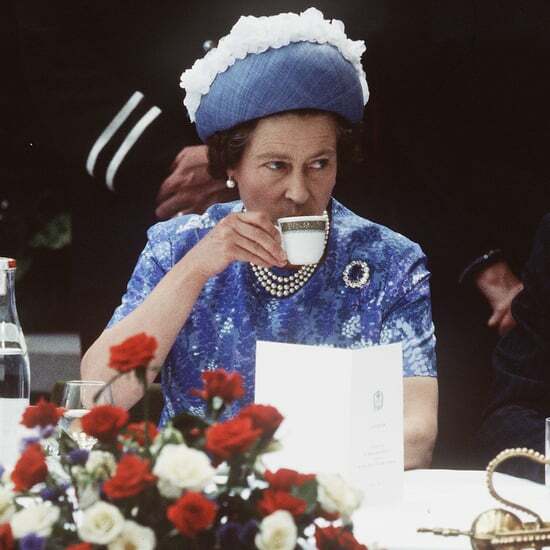 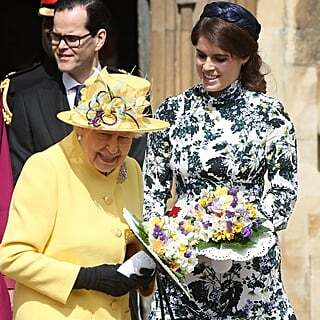 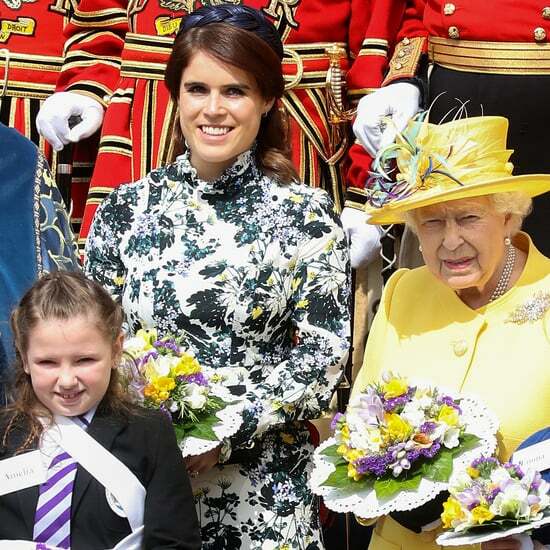 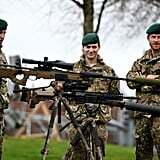 In December 2017, he took over the role of Captain General Royal Marines from his retired grandfather Prince Philip. 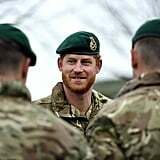 The royal also recently spent Valentine's Day with military personnel in Norway for the 50th anniversary of Exercise Clockwork. 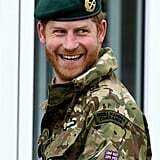 Evidently, he's dedicated to the hard-working heroes who protect the lands. 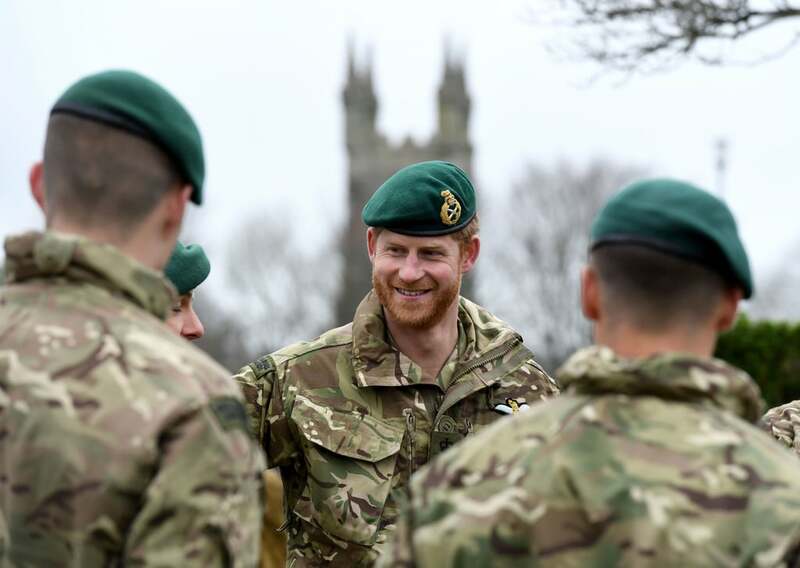 View more photos of the prince at the Green Beret presentation ahead!